These cute cardigan and sweater designs are knitted in Chunky yarn, ideal for colder days. 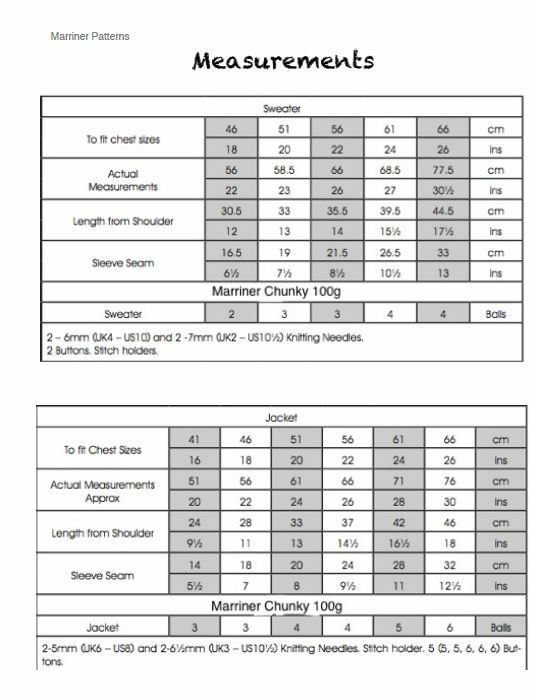 In sizes 46cm-66cm (18in-26in). Hooks required Sweater: 2-6mm (UK4- US10) and 2-7mm (UK2- US10 1/2) Knitting Needles. 2 Buttons. Stitch holders. 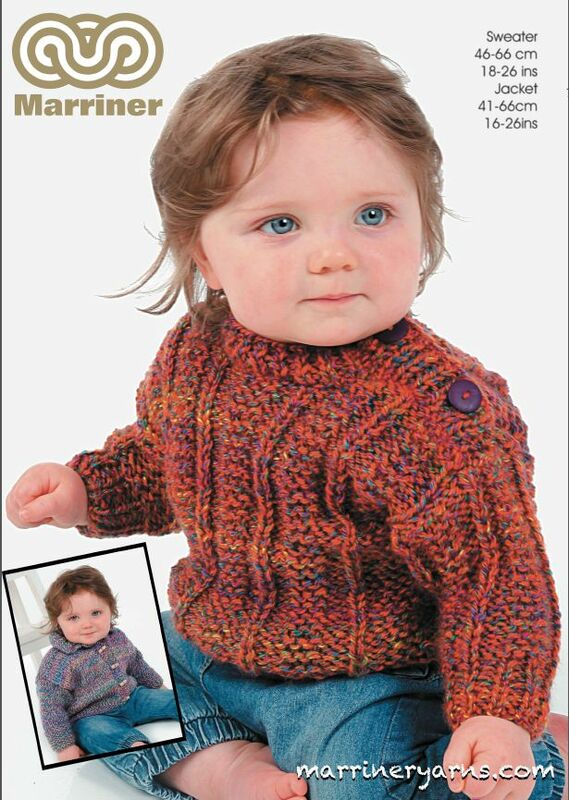 Jacket: 2-5mm (UK6- US8) and 2-6 1/2mm (UK3- US10 1/2) Knitting Needles. Stitch holder. 5 (5, 5, 6, 6, 6) Buttons.